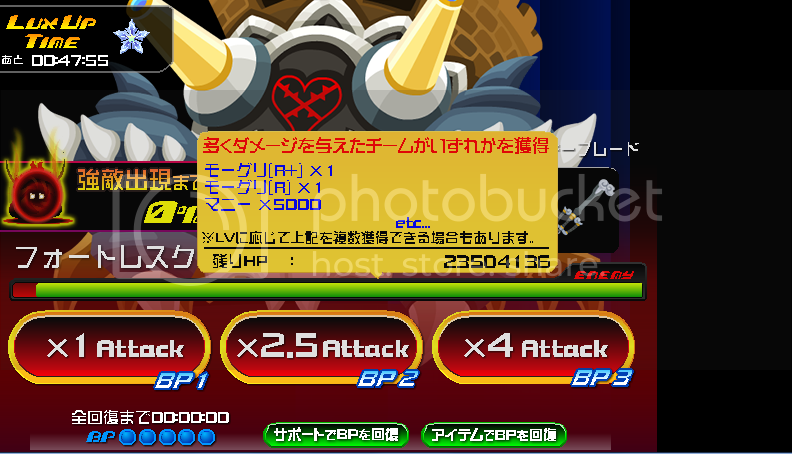 So, during the raid bosses, I look at the HP bar of the boss, and it gives a list of three things. I can tell that they are bonuses, but I don't know how to achieve them! They are what you can, not will, get by defeating that RB, so you may or may not get some (or any) of them. To be eligible for the rewards, your team needs to deal more than 50% damage to the boss. Ah. That makes sense. Figures they'd make it so then it's not a guarantee. Thanks! :3 Thanks for the help!